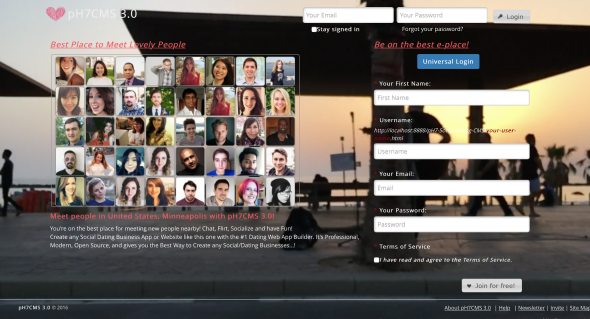 The pH7 Social Dating CMS™ is a Professional & Open Source Social Dating CMS, fully responsive design, low-resource-intensive, powerful and very secure. pH7CMS (now known as pH7Builder) offers 38 modules and based on its homemade framework (pH7Framework). It is also the first Professional, Free and Open Source Social Dating Site Builder Software and the first choice for creating enterprise level Dating Apps/Service or social networking sites.